Today, the building is owned by the City of Chino and housed the Chino Valley Chamber of Commerce. The building was added to the National Register of Historic Places on February 28, 1979, NRHP Reference #79000522. National Park Service (2010-07-09) "National Register Information System." National Register of Historic Places. National Park Services. Website https://npgallery.nps.gov/nrhp. 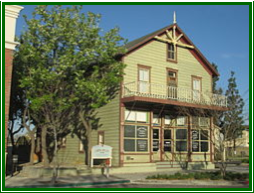 Chino Historical Walk "Moyse-Gray Building." Website www.chinohistorywalk.com a Eagle Scout project created by Jack Phillips with assistance of historian, Phyllis Outhier.